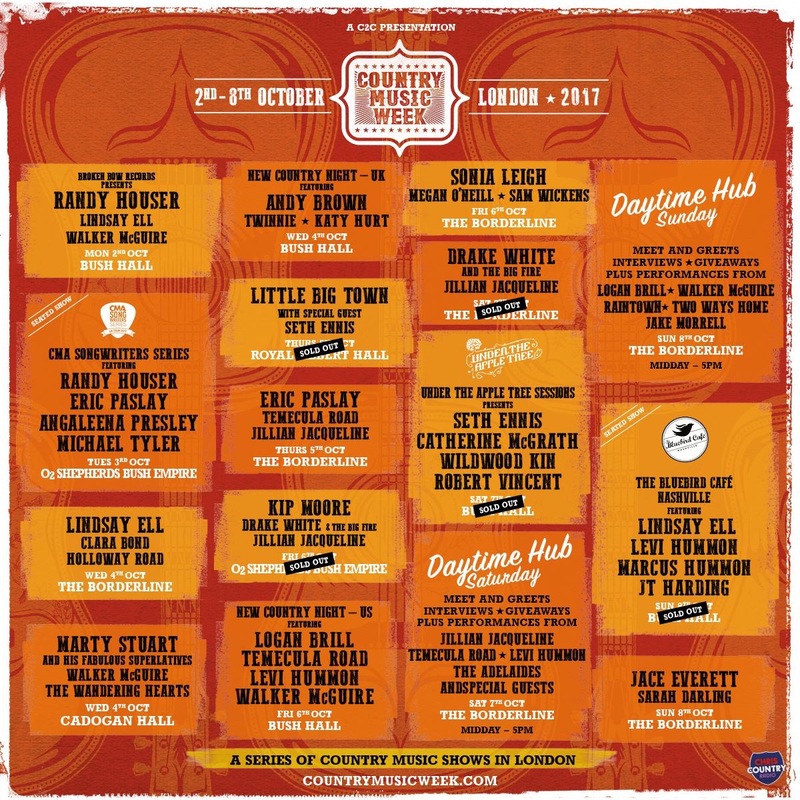 If you are already in London or not during Country Music Week on Saturday and Sunday – why not make a day of it and attend the Day Time Hubs? The Daytime Hubs are a rare opportunity to get up close and personal with some of country musics rising stars, meet them, find out interesting facts during live interviews and win some cool prizes. And of course some live music. And UK female trio The Adelaides. With the event being in The Borderline, this will be an even more intimate setting and will be so much more than just a show. The event takes place from 12pm till 5pm and gives you plenty of time to go to any Saturday event you may have planned. I am personally very excited for the Daytime Hubs as think it will be quite a different and unique experience.